This guide provides instructions past once you have logged into cPanel, If you are not sure how to log into cPanel, click here for a guide. 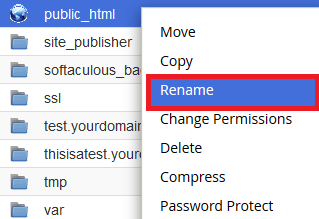 Once that's done, create a new public_html folder. This will make the restored files go into a clean folder. Step 1 - Under the Files section, click on the R1Soft Restore Backups icon. Step 2 - R1Soft will now open, dates and times of backups made will be listed under “Created On”. Click on the Folder icon next to the date you wish to restore. 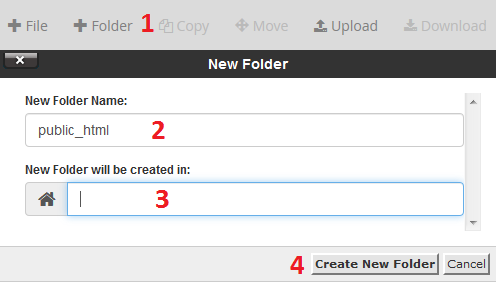 Step 2 - R1Soft will now open, dates and times of backups made will be listed under “Created On”. Click on the Database icon next to the date you wish to restore. Step 3 - Clicking the arrow symbol next to Databases will display a list of all the backed up databases, then tick the box next to the database you wish to restore. If you see multiple database and don't know which is the right one, click here for our guide on finding the database name. The database will now begin restoring. Close the window once the restore is complete. How do I connect to MySQL using SSH on Windows?